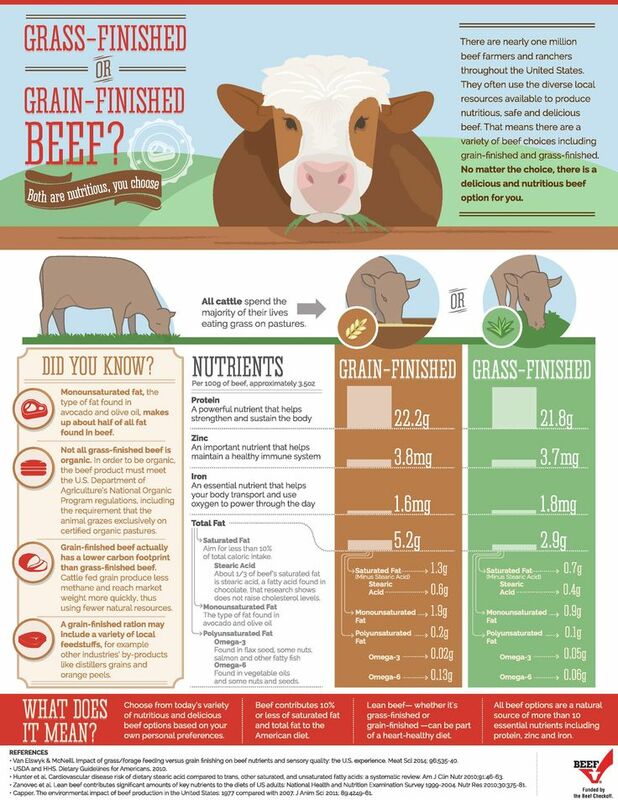 If you are friends on social media with any farmers, ranchers, hunters, outdoor enthusiasts, or anything of that nature. You may have seen a frenzy of angry and upset posts about a recent occurrence. 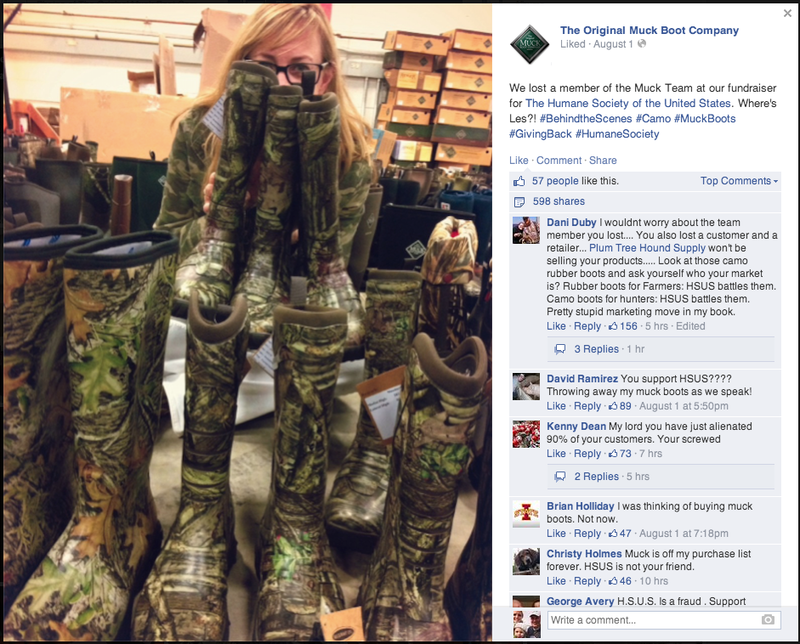 The Original Muck Boot Company shared a photo on Facebook about a fundraiser they were doing for the Humane Society of the United States. This caused an uproar in the agriculture and hunting communities, and resulted in #WhatTheMuck. Muck has since posted a response to this issue, so for some this issue is resolved for others it isn’t, but that is not the reason for this blog post. Some people may wonder, why would people freak out about a company donating money to help save puppies and kittens, they must be heartless. But the truth is trying to save puppies and kittens isn’t all that HSUS does, actually it is a very small part of it. Between 2009-2011 the “non-profit” collected more than $509 million, and gave away $27 million to grants and organizations in the United States, which is about 5%. Watch this video for more info. This would be all well and good, if HSUS didn’t present themselves as helping animals via commercials. People assume that because of the name, that their $19 a month goes directly to help animals, just like their local shelter does, but really where the money goes is lobbying against “animal cruelty”, in a backhanded way. Rapid City Journal did some research and found that HSUS credits itself with passing 470 state laws between 2004-2010, and 121 new laws in 2009 alone. Alright, so not only does HSUS not really help the pitiful animals in their commercials, they pass laws. So what? Well the way some/most of those laws are phrased directly affect/limit agriculture, while trying to hide behind the guise of helping animals. One law they proposed in Alabama in 2008, was a law to end cockfighting. This sounded like a wonderful thing to support, until further investigation, where it was discovered that by the wording of the bill any farmer with two or more roosters that could fight would be accused of cockfighting, fined and shut down. Therefore the poultry industry, a large sector of the Alabama economy, would be limited. Farmers got together and formed the Coalition for Farm Animal Care and Well-Being and prevented this law from being passed. Another law HSUS lobbied for was Proposition 2 in California; which states that egg laying chickens must be free ranging for a certain amount of time, which is going to drive up the cost of egg production and possibly drive the egg industry out of California. 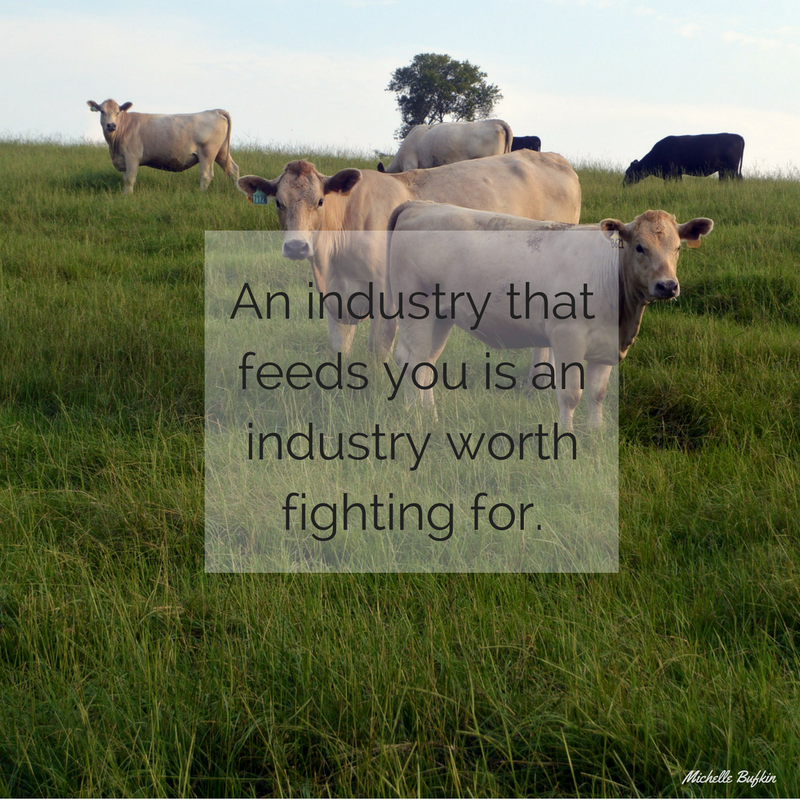 That is the reason so many agriculturalists exploded about HSUS receiving money, because giving money to HSUS could be synonymous with losing our farms and everything we love, live, and dedicate our life to, the agriculture industry. If you want to actually help animals donate money, food, or time to your local humane society where it is guaranteed that your money will help animals. 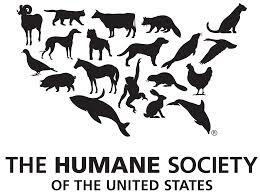 I hope now that you know the truth about The Humane Society of the United States you either don’t feel guilty about not donating money to HSUS, or you choose to stop donating to HSUS if you have been.